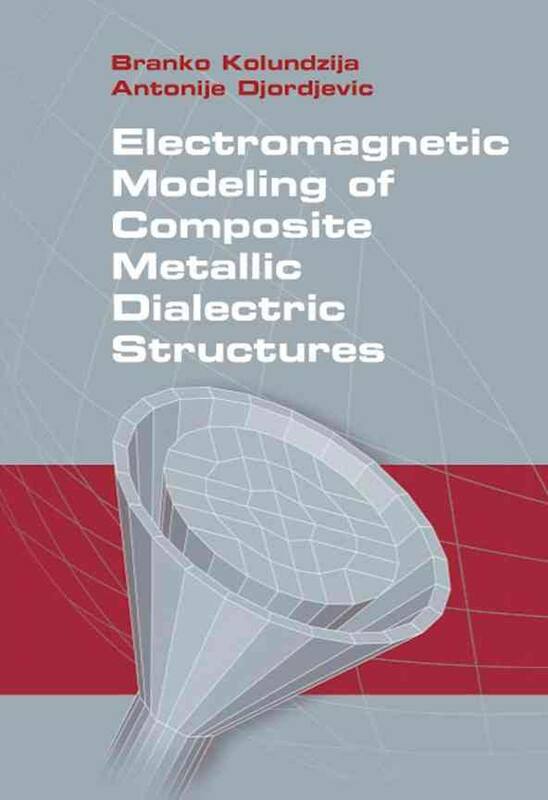 A great reference to the theory that has been implemented in practice through WIPL‑D code can be found in the book “Electromagnetic Modeling of Composite Metallic and Dielectric Structures” written by Professor Branko M. Kolundzija and Professor Antonije R. Djordjevic. Contents: Introduction. Formulation of the Problem. Method of Moments. Geometric Modeling of Structures. Approximation of Currents. Treatment of Excitation. Solution of Equations for Current Distribution. Post Processing of Data. Numerical Examples. This resource provides a much wider choice of analytical solutions to the everyday problems encountered in electromagnetic modeling. The book enables usage of cutting‑edge method‑of‑moments procedures, with new theories and techniques that helps to optimize computer performance in numerical analysis of composite metallic and dielectric structures in the complex frequency domain. For the first time, comparisons and unique combinations of techniques bring the elements of flexibility, ease of implementation, accuracy, and efficiency into clear view. Numerous examples are given – from simple to complex – including scatterers, antennas and microwave circuits. One can get an in-depth presentation of intricate models, including TV UHF panels, horn, parabolic, microstrip patch antennas, and many others. More than 800 equations and 150 illustrations support key topics. Publications describing theoretical basis, technical aspects of using the code, application papers and finally papers referencing the use of WIPL-D products before 2012 can be downloaded from the links below. Most relevant IEEE publications that describe numerical methods/algorithms embedded into our software are shown below. Implementation of max-ortho basis functions is proposed in a method for analysis of axially symmetric metallic antennas based on exact kernel of electric field integral equation in combination with Galerkin testing. High-precision evaluation of matrix elements is enabled by: a) representing them as a linear combination of impedance integrals due to the Legendre polynomials and their first derivatives; b) using the singularity cancelation techniques; and c) evaluating the Legendre polynomials and their first derivatives by well-known recurrent formulas. Applicability of max-ortho bases up to expansion order of n =128 is illustrated on a full-wave thick dipole antenna. This paper presents a novel method for evaluating potential and impedance integrals appearing in the method of moment analysis of arbitrary axially symmetric metallic structures based on exact wire kernel and higher order bases. Due to new variable transforms proposed for singularity cancellation and smoothing the integrands, high accuracy up to machine precision is achieved using relatively small number of integration points. Simple formulas are determined for predicting a number of integration points needed for prescribed accuracy. Benefits of high-precision evaluation of impedance integrals are illustrated on a number of numerical examples. This paper presents a general theory of maximally orthogonalized div- and curl-conforming higher order basis functions (HOBFs) over generalized wires, quadrilaterals, and hexahedra. In particular, all elements of such bases, necessary for fast and easy implementation, are listed up to order n=8. Numerical results, given for div-conforming bases applied in an iterative method of moments solution of integral equations, show that the condition number and the number of iterations are a) much lower than in the case of other HOBFs of polynomial type and b) practically not dependent on the applied expansion order. Authors: Tasic, M.S., Kolundzija, B.M. Authors: Kolundzija, B.M., Petrovic, V.V. Authors: Kolundzija, B. M., Ognjanović, J. S., Sarkar T. K.
This software seeks to make the job easier, cut design time, and reduce costs for designers developing an antenna embedded in a material body, passive microwave circuit components, or determining electromagnetic scattering from complex, lossy/dielectric structures. Now featuring a Windows-based interface, it delivers a powerful program for analysis of electromagnetic radiation and scattering from composite metallic and/or finite-sized dielectric/magnetic structures. Authors: Kolundzija, B. M., and Djordjević, R. A.
WIPL is a program which allows fast and accurate analysis of antennas. The geometry of any metallic structure (even a very large structure) is defined as a combination of wires and plates. WIPL’s analysis features include evaluations of the current distribution, near and far field, and impedance, admittance and s-parameters. The program uses an entire-domain Galerkin method. Efficiency of the program is based on the flexible geometrical model, and sophisticated basis functions. In this paper, the basic theory implemented in the program, and some results concerning TV UHF panel antennas and large horn antennas are given.